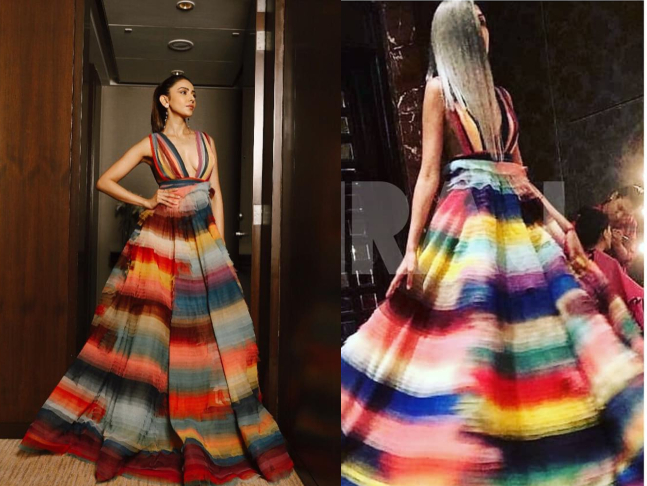 For her appearance at the red carpet, Rakul Preet chose a rather colourful couture number and you have to see the details! Styled by Akshay Tyagi for the Style Cell, Rakul was a splash of colours in this Gavin Miguel ensemble. Her look was paired with accessories by Anmol Jewellers and H Craft Fine Jewellery. A pulled-back hairdo and metallic eyes rounded off the look. Fresh fashion on the block!